Best location for a fall engagement session in town? I’m a Chicago engagement photographer and I love Lincoln Park. If you are not planning to visit one of the beautiful forest preserves in Cook County, this location is rich with setting for a slow paced session. The park offers a beautiful view of the cityscape looking south too, while Lake Michigan is just next door. It doesn’t get better than this. It was one of those days when it is suddenly cold and you didn’t see coming. A couple of weeks before it was summer and now you have to bundle up. 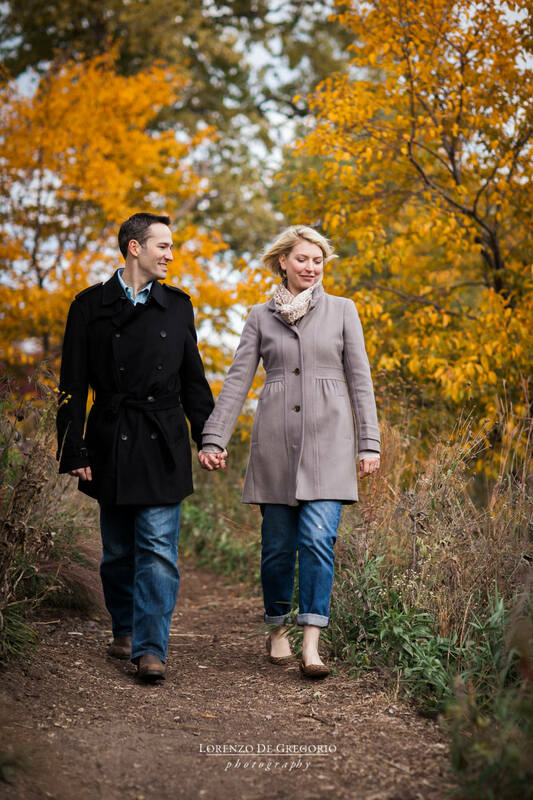 Lincoln park is a fantastic location to celebrate the fall and let the vibrant color of the foliage wrap your engagement pictures. Margaret and Colin will get married in april next year and I can’t wait to photograph them again. If you started planning your wedding and you are looking for a Chicago engagement photographer, don’t forget to check my other Chicago engagement sessions. Mirroring in the Caldwell lili pool in the fall. Are curious about other locations in Chicago for your engagement pictures? In the past 9 years I have shot sessions all over the town. See my most recent session at Lincoln Park here. If you like Chicago riverwalk, look the pictures of Jackie and Max. If you like BW, then you might love Se Won and Phil’s collection. Need colors for a winter engagement? 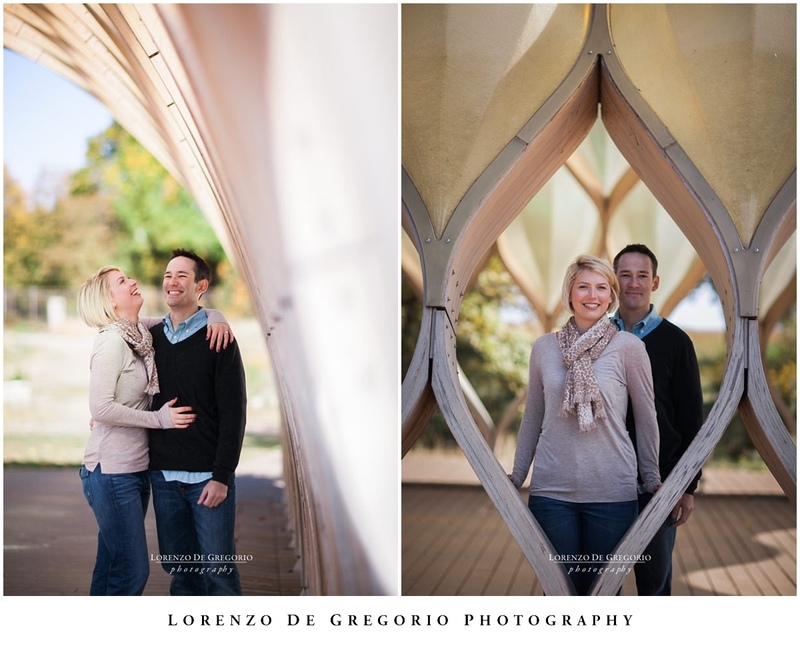 check Lindsey and Mark‘s pictures at Millennium park at Kenzie bridge. 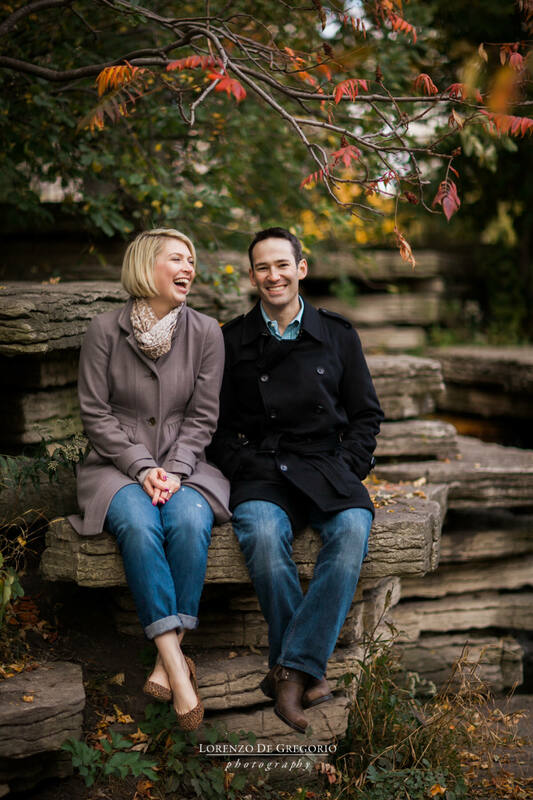 And if you are interested to a downtown Chicago sunrise engagement session, you should check Ashley and Dan’s shoot, Ashley and Chad’s Millennium engagement photos or the Field Museum session of Cristina and John. If you are looking for something completely different, then browse the Morton Arboretum fall engagement photos of Brittany and Matt.